15 Largest Active Adult Communities in the U.S.
Large resort-style communities include a wide selection of amenities and fun lifestyle in popular retirement states all over the U.S. The active adult communities in the U.S. vary considerably in size, with the largest having more than 56,000 homes at completion. Retirees and Baby Boomers who want a large resort-style community as their retirement destination have numerous options from which to choose. This 55+ community is the largest age-restricted community in the country and spans three counties, three zip codes, and over 20,000 acres. With plans to have more than 56,000 residences at build out, The Villages has everything you could want or need because it is a self-sustaining town with 17 recreation centers and 25 neighborhood centers. From swimming pools to golf courses, healthcare centers to shopping centers, there is no shortage of fun, activities, and daily conveniences for residents in this vibrant community. Construction in The Villages began in 1978 and still continues to this day, with new floor plans as well as resale homes found throughout the many colorful neighborhoods within the community. Although it's not age-restricted, Bella Vista Village is a popular active lifestyle community for retirees in Northern Arkansas. With 36,000 homes planned at completion, homebuyers can select their dream retirement home with a variety of housing styles including attached and detached homes. The enviable lineup of amenities include five recreation centers and seven golf courses. Active adults enjoy living in this vibrant setting because it provides more than 100 clubs and interest groups that are sure to satisfy their active and social lifestyle. Sun City was the first age-restricted community in the country and consists of 27,492 residences. Del Webb developed this massive active adult community between 1960 and 1978. Sun City is well known for its affordable homes, low association fees, and low property taxes. Active adult homeowners enjoy the myriad of amenities found in this vibrant community including 11 golf courses, seven recreation centers, 19 shopping areas, and 30 churches or places of worship. No matter what your hobbies and passions are, you'll be sure to find something that suits you because there are about 200 clubs and interest groups. Another large Del Webb community in Arizona is Sun City West, which is just two-and-a-half miles west of the original Sun City Arizona community. This 16,900-home active adult community was built between 1978 and 1997 and provides a great combination of activities and amenities that cater to the low-maintenance lifestyle retirees seek in an age-restricted community. Residents never have to travel far because everything they need is within the neighborhood borders such as multiple recreation centers that offer swimming pools, fitness centers, theaters, aerobics studios, tennis courts, arts and crafts studios, and multi-purpose rooms. Sun City West also has a variety of restaurants, golf courses, worship centers, grocery stores, banks, and a hospital on-site. Green Valley is a conglomerate of 13,200 age-targeted and 55+ neighborhoods located just south of Tucson. Green Valley Recreation (GVR) serves all homeowners who live within the deed-restricted areas of Green Valley. Residents enjoy access to all GVR amenities and activities found throughout all of the active adult communities within Green Valley. This provides limitless access to 13 recreation centers, eight golf courses, and a long list of social clubs and organizations. This resale-only retirement neighborhood consists of 12,736 homes in scenic Orange County. 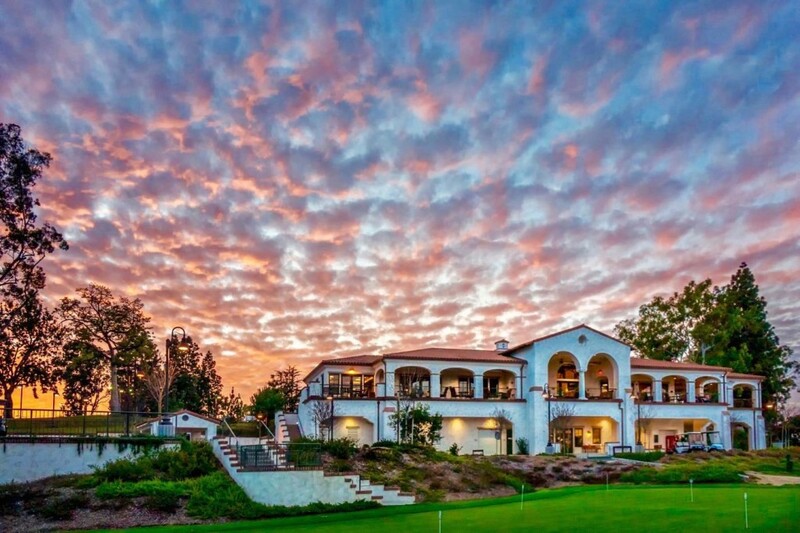 Ideally situated on 2,100 acres of rolling hillsides, this 55+ community not only provides scenic views in Southern California, but also offers the ideal retirement lifestyle with seven clubhouses, 36 holes of golf, an equestrian center, and more than 250 social clubs and organizations. With 10,636 homes, Holiday City at Berkeley is the largest age-restricted neighborhood in the state of New Jersey. Residents love that this active adult community feels like a small town yet provides world-class amenities and an assortment of activities with banks, and retail establishments just a few steps away. The Villages of Citrus Hills is an active lifestyle community that provides a luxurious setting for discerning active adults. It will have about 10,005 single-family homes at completion, and homeowners can choose from a variety of floor plans that can meet their styles and budget. Although it's not age-restricted, the amenities and lifestyle are sure to attract retirees from all over the country. Central Florida’s On Top of the World is a planned 10,000-home active adult community with world-class amenities and affordable new and resale homes for sale. Homeowners enjoy access to multiple clubhouses, outdoor recreation facilities, swimming pools, retail shops, and a continuing education center as well as a prime location within the heart of Ocala. Golfers will be glad to know that they also have access to three 18-hole golf courses too! Sun City Texas in Georgetown is the largest active adult community in Texas that has plans for 9,900 homes. This 55+ community is spread across 5,300 acres of scenic landscaping and provides the 86,000 square-foot Village Center Amenity Complex. Homeowners enjoy all of the resort-style amenities as well as the three 18-hole championship golf courses. Del Webb also offers a variety of attached and single-family home designs with low-maintenance exteriors that are perfect for the active adult homebuyer. Sun City Grand in Surprise, AZ consists of 9,802 residences that come in a variety of styles such as condos, attached villas, and single-family homes. This active adult community was designed to cater to the changing needs of retirees and Baby Boomers who seek a vibrant and social atmosphere as well as access to a variety of amenities. Homeowners enjoy multiple clubhouses, a luxurious spa and fitness center, indoor and outdoor swimming pools, sports courts, four golf courses, and the ASU Lifelong Learning Academy. Located near Tampa, FL, Sun City Center is a 55+ community that will have 9,500 homes. This active adult community is a self-contained village that comes with grocery stores, worship centers, retail shops, and a hospital. Along with all of the daily conveniences within this established community, there are multiple clubhouses and outdoor facilities that keep homeowners busy and social. With nearly 200 clubs and activities, residents can easily make new friends or learn a new hobby. Developed between 1970 and 1995, Century Village at Deerfield Beach has 8,508 condo units. Residents enjoy a vibrant lifestyle and low-maintenance homeownership in this welcoming setting. Although active adults have access to several amenities, the 145,000 square-foot clubhouse is the most impressive. Outdoor recreation is a popular activity with four tennis courts, two bocce ball courts, and 24 shuffleboard courts. In addition to the outdoor pool at the clubhouse, there are 15 satellite pools scattered throughout the community. Sun City Hilton Head is the largest active adult community in South Carolina with plans to build 8,200 homes. Del Webb began construction in this prestigious 55+ community in 1995 and offers active adult homebuyers world-class amenities, 54 holes of golf, and elegant home designs. There are more than 200 clubs and interest groups in Sun City Hilton Head as well as plenty of educational courses offered in the community and at the adjacent New River Campus of the University of South Carolina and Technical College of the Lowcountry. Del Webb’s first 55+ community in Las Vegas, Nevada is Sun City Summerlin, which consists of 7,779 homes. This active adult community is spread across 2,400 rolling acres that boast scenic mountain views as well as the Las Vegas Strip. Homeowners in this vibrant active adult community enjoy four well-appointed clubhouses and the 18-hole Highland Falls Golf Course. They also have plenty of floor plan options to choose from when selecting their ideal retirement home. From attached villas to single-family residences, active adult homebuyers are sure to find a home that meets their style and budget. Want to learn more about one of these communities? Click the links above to read more detailed descriptions as well as view photos, floor plans, homes for sale, amenities, maps, and more!